Business, research and community leaders from the U.S. and Canada are gathering at the third annual Emerging Cascadia Innovation Corridor Conference to explore new strategies to continue to elevate the global economic position of the region. Two years ago, leaders in Washington state and British Columbia got together to talk about a big idea. Actually, a lot of big ideas. At the 2016 Emerging Cascadia Innovation Corridor Conference, U.S. and Canadian business and government leaders discussed how collaborating across the U.S.-Canada border could enrich the whole region, by expanding trade, and forging collaboration in technology, research, transportation and education. This week, the region’s top business, research and community leaders will gather at the third annual conference to discuss progress made by the Cascadia Innovation Corridor initiative and explore new strategies to continue to elevate the global economic position of the region. Many of the group’s initial dreams are getting off the ground. 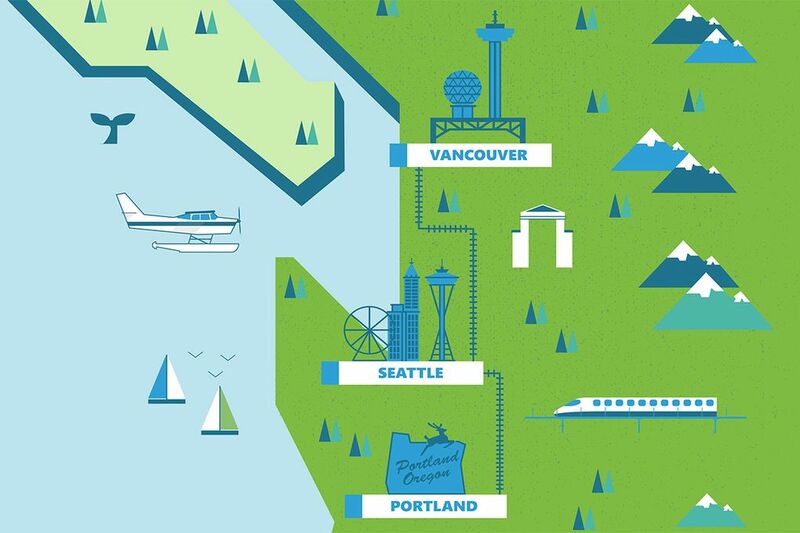 In some cases, literally: the new seaplane service from Kenmore Air and Harbour Air launched in April allows business and leisure travelers alike to get between downtown Seattle and downtown Vancouver in just an hour. And in September, a binational steering committee was officially formed, made up of some of the region’s top business, research and community leaders who will work together to increase collaboration and opportunity in the Cascadia region. Bridging the transportation gap is one area where the initiative is focusing its attention, even beyond the seaplane service. “Studies are underway on the ability to travel quickly within the corridor via high-speed rail, thanks to support from states of Washington and Oregon, the province of B.C., and Microsoft. This would be a transformative step forward — a game-changer that would truly connect our region and enable us to effectively compete on a global scale,” says Greg D’Avignon, president and CEO of the Business Council of British Columbia and co-chair of the steering committee. Christine Gregoire, CEO of Challenge Seattle, former governor of Washington, and also a co-chair of the steering committee, is putting her experience as a regional leader to work, too. With $895 billion (USD) in combined GDP, the Cascadia Innovation Corridor is working together to promote regional economic opportunities through world-class education and research, transformative technologies and a skilled workforce. Education is also a key focus area, and both Gregoire and D’Avignon say they’re already seeing results from greater cross-border collaboration. The Global Innovation Exchange (GIX) is a global partnership between the University of Washington and Tsinghua University, with foundational support from Microsoft, to develop leaders in innovation. 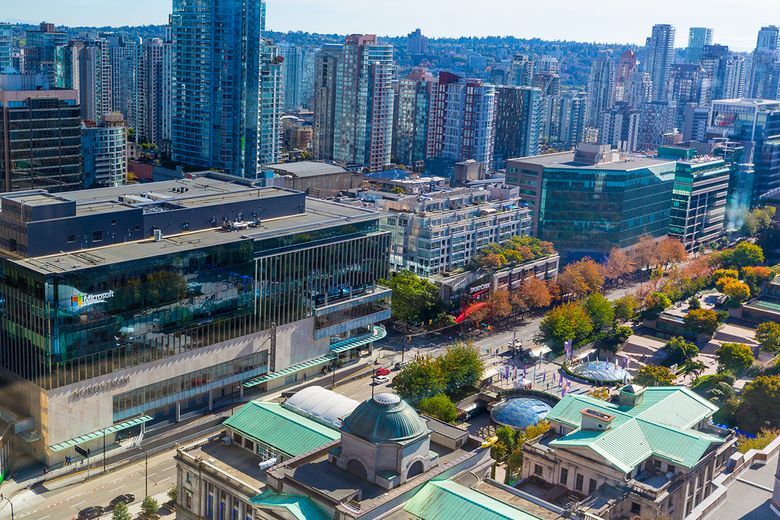 Last year, the University of British Columbia joined GIX as one of eight academic partners, connecting students with cross-sector expertise, resources and networks. More connections are being forged between the public universities on both sides of the border. Thanks to these strong bonds, Canadian students have the opportunity to intern at Vancouver campuses of global companies, like Microsoft. “[These students are] working side by side with some of the world’s leaders in innovation, producing some really impressive work in visual data and analytics that will benefit the region and the world — not just in the short term, but for years to come,” says D’Avignon. Gregoire says the collaboration between universities shows the major opportunities for growth in training the next generation of highly skilled workers in our region. But, she notes, her role doesn’t stop there. She wants to make sure the region continues to dream big. One of the biggest dreams Gregoire sees coming to fruition out of the corridor? Major advances in the effort to cure cancer. The Cascadia Innovation Corridor Conference brings together business, academic, and government leaders from both sides of the border to explore new strategies for the region to come together, maximize our shared competitive advantages and elevate our global economic position.